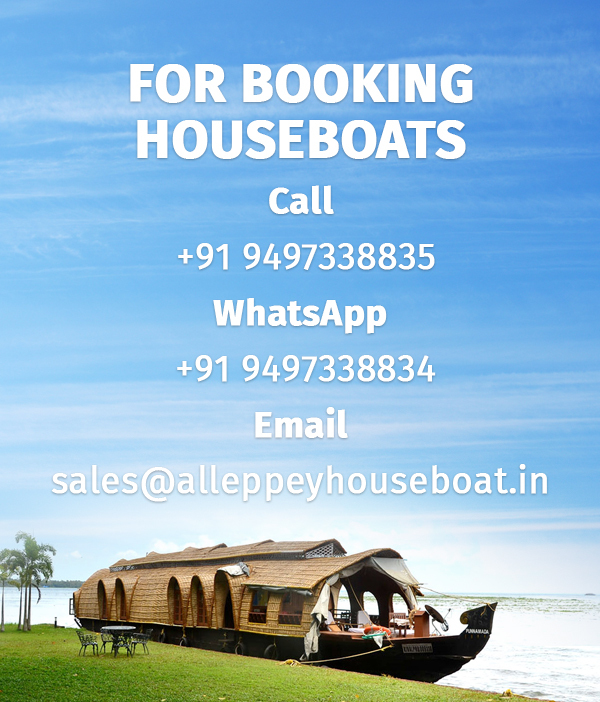 4-bedroom houseboats in Alleppey are ideal for big groups and are usually booked for business conferences and corporate meetings. There is nothing more satisfying that working while relaxing in the amazing backwaters of the “Venice of the east”. They are available in Deluxe, Premium and Luxury categories and usually accommodate 2 guests per room. The traditional Kerala delicacies are served during the cruise which is included in the package. Alleppey backwaters are a dose of calm and peace, experience this first hand and we are certain that you will be back for more.